This page has links to other web sites that you might find interesting. If you select one of these links, you will leave the Am Chai web site and we're not responsible for your Internet journey. Click the images to go to the linked sites. Founded in 1985, MAZON: A Jewish Response to Hunger is a national, nonprofit agency that allocates donations from the Jewish community to prevent and alleviate hunger among people of all faiths and backgrounds. Each year, MAZON grants over $3 million to more than 300 carefully screened hunger-relief agencies, including emergency food providers, food banks, multi-service organizations and advocacy groups that seek long-term solutions to the hunger problem. This link is to a web site for the National Museum of American Jewish History, which is being constructed on Independence Mall in Philadelphia, PA. From their web site, you can view monthly newsletters, photos of the construction and plans, and other information about the Museum. This link is to a web site about "The Forgotten Synagogues" of Chicago and a Chicago Jewish News article. This link is to a series of historical web pages at Florida Atlantic University (FAU) that are known as "Seymour "Sy" Brody's Jewish Heroes and Heroines of America Exhibits." The sites include such topics as "American Jewish Heroes and Heroines From Colonial Times to 1900" and "The Only Jewish Military Cemetery Outside of Israel is in Richmond, Virginia." Links for each of the dozen sites are found here. Bet you didn't know there were Jewish soldiers in the Confederate Army during the US Civil War! Kulanu ("All of Us" in Hebrew), founded in 1994, is a non-profit organization which supports isolated and emerging Jewish communities around the world, many of whom have long been disconnected from the worldwide Jewish community. Kulanu connects with these dispersed groups and individuals through networking. We raise awareness and support for emerging communities through education, research, and publications about their histories and traditions. Our connections help all of us enrich our Jewish lives. Kulanu works with groups in Uganda, Ghana, India, Latin America and other places to help dispersed remnants of the Jewish people. Visit Kulanu's Communities page to read about many of these groups. The dream for a national month to celebrate Jewish contributions to American history began as an idea by one community in South Florida. Since then, the nation has come together to pass legislation in Congress and celebrate the Proclamation of Jewish American Heritage Month (JAHM) by the President of the United States. Jewish American Heritage Month (JAHM) is a national month of recognition of the more than 350-year history of Jewish contributions to American culture, celebrated in May. Also visit the web site about Jewish American Heritage run jointly by The Library of Congress, The National Archives, National Endowment for the Arts, National Park Service, and the US Holocaust Memorial Museum. The Jewish Magazine is a free monthly review of all things Jewish. Here is a link to the JUF's new magazine web site. 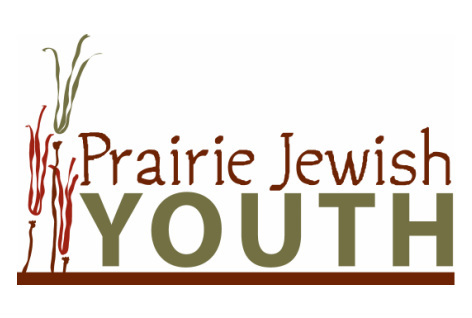 Here is a link to the JUF's Northwest Suburban page, including their monthly newsletter. Tikkun Olam Volunteers (TOV), the Jewish United Fund/Jewish Federation Volunteer Network. TOV places members of the Jewish community with Jewish Federation agencies and with community service projects that need volunteers. Read Hebrew America/Canada offers free lessons in reading Hebrew for beginners & intermediates. It's a program of the National Jewish Outreach Program. Harry Leichter's Jewish Humor - A large collection of jokes, humorous items, and links. who are researching Jewish genealogy, Jewish family trees and Jewish roots. Jewlarious is another humor site with jokes, stories, and multimedia offerings. It is part of Aish.com; Aish HaTorah is a world leader in creative Jewish educational programs and leadership training, dedicated to answering the vital question, "Why be Jewish?" Take the Speakeasy Speed Test and test your connection speed! By measuring the download and upload rate from several locations you are able to accurately judge your current line throughput or internet connection speed. How to Protect Yourself From Clever Scammers -- Online and Offline. Internet ScamBusters, the #1 publication on Internet fraud, shows you the ins and outs of protecting yourself from all the newest scams. It's a public service, published 2 to 4 times a month, and provides you with a lively, entertaining and opinionated approach to protecting yourself online and offline. The New York Jewish Week had a very interesting article about a new book on the question of why Jews left Eastern Europe. You might be surprised at the answer. You can view the JCFS calendar of programs and events here. If you have a suggestion for a link on this page, contact the Webmaster.